I follow a few blogs and have since I started blogging. Some I still follow and some I've picked up and started following after awhile. One that I have following a long time is Jo and Kelli and Jo's Country Junction. Another I have followed for quite a while is Bonnie Hunter at Quiltville Quips and Snips. I have to admit I didn't start following Bonnie until my friend Linda in Texas drug me to one of her workshops. What a blessing that has been! I've been hooked ever since. 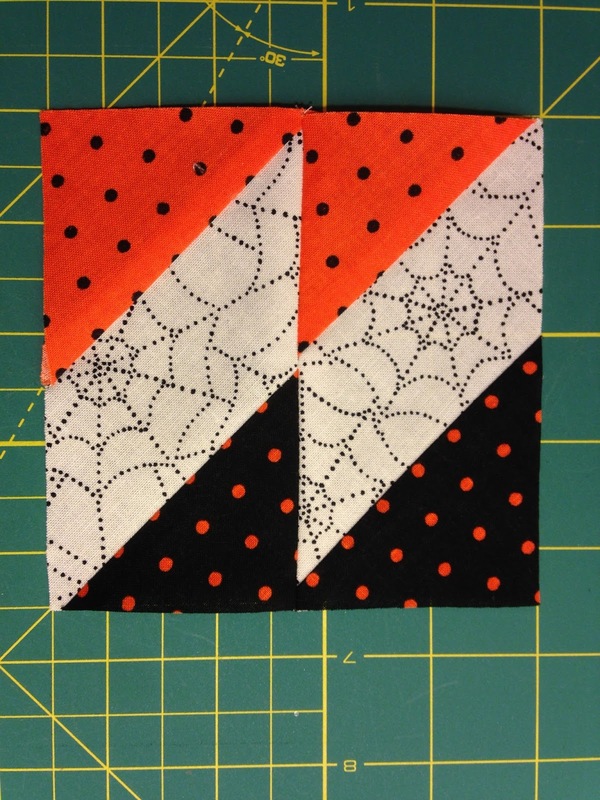 So when Jo and Kelli announced they were teaming up with Bonnie and hosting a quilt retreat I was super excited. I hesitated for quite some some on whether or not to spend the money and go, so long in fact that I almost missed out on getting in on the retreat. But I finally bit the bullet and sent my money in. I'm so glad it did (even if it interferes with a visit with my daughter and grandkids that are finally coming home for good from Japan.... more on that later). Anyway, Jo and Kelli are giving us a challenge. You don't have to be going to the retreat to participate though. You can read about the challenge here. At first I was a little disappointed. 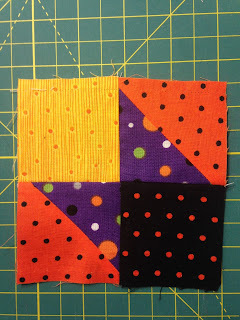 I had started my quilt Strip Twist at the workshop from Bonnie and had just finished it up because I wanted to take it along on the retreat for show and tell. I was pretty proud of myself for finishing it way ahead of the retreat date. Then the following week after finishing it Jo and Kelli announce this challenge. Well darn.... now I don't have anything to work on for the challenge. I was NOT going to start yet another project. I've got enough of those to last a very long time. Then while searching my stash for fabric for the projects we're working on at retreat I found this UFO that I forgot I had. It's my Grand Illusion Mystery Quilt that Bonnie had last Dec/Jan. I have very little done on it, mostly just a sample of each of the units. I did it in Halloween fabrics and colors. Yay, I have a project that I can participate in the challenge with. Don't expect much more progress though. I have too many irons in the fire already. But hey, even if it's only a couple more blocks... that's progress... right? Oh goody, another retreater. Hope to see you there.